New year, new links! We’ve been taking major steps to increase productivity throughout our business this year, as well as to keep creativity flowing and to take time to step away when we need it. We’re hoping to take big steps in 2019, and we’re looking for inspiration wherever we can find it. If you have similar goals in place for your own business (or just life in general), then we hope you can benefit from some of our favorite things that we found around the web this month. Instagram grid apps. Have you ever tried using an app to plan out your Instagram grid in advance rather than posting on the fly? If you’re in a creative business, this is a great way to save time, get things looking cohesive and minimize time wasted on your phone. We recently started using an app called Preview and so far, we’re loving it. Marie Kondo. Okay, so we’re definitely not the first to recommend Marie Kondo, her book, The Life-Changing Magic of Tidying Up, or her new Netflix show, Tidying Up. It actually seems like just about everyone is talking about Marie’s KonMari method lately, but if you’re late to the tidying game, it could be just what you need to get organized and refresh your space (and your life) in the new year. 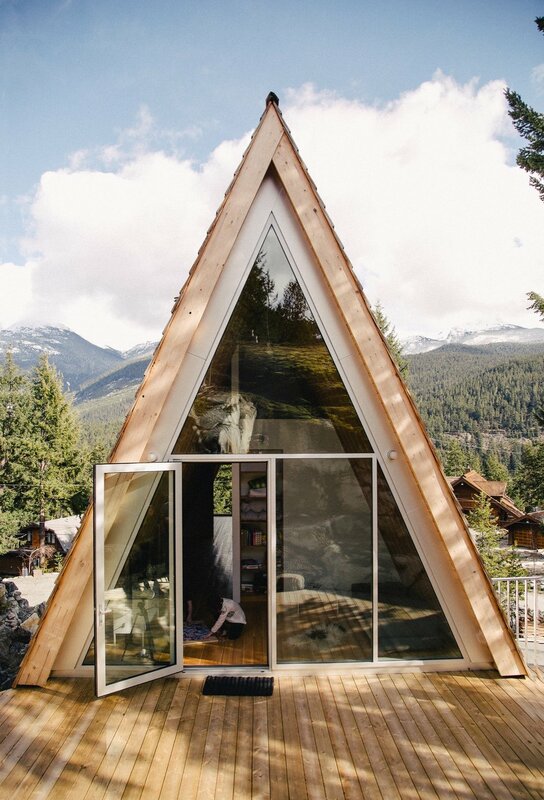 This Whistler A-Frame. We’ve been lusting after A-frame cabins for a few years now, and there’s just something about this time of year that especially makes us want to pack a bag for a remote weekend away. We recently came across this Alpine Modern home tour featuring a family-friendly A-frame in Vancouver, Canada, and we haven’t stopped thinking about it since. If you want some serious travel inspiration (or even inspiration for a whole lifestyle change), make sure to check it out. Design + build projects. If you follow us on Instagram, then you might have seen our announcement about expanding our design + build capabilities. We recently got our general contractor’s license and added an in-house interior design team, which means that we’ll be taking on more full-scale design + build projects, starting with Nashville florist Amelia’s Flowers’ new brick and mortar space. Appointed planners. The start of a new year always makes us want to start a brand new planner. Even with so many calendar apps online, there’s just something about writing things down, which is why we love Appointed’s beautiful and functional planners so much. The only downside is that they sell out fast, so we’d suggest snapping one up.